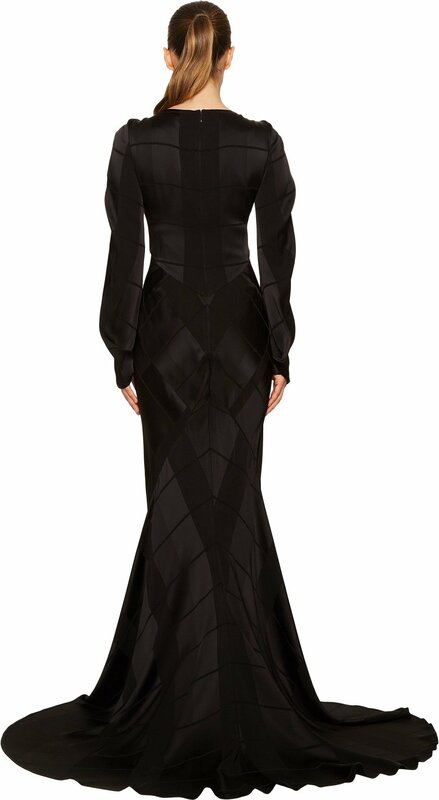 Your dramatic entrance will receive rave reviews wearing the Zac Posen™ Satin Crepe Jacquard Long Sleeve Cut Out Gown. Your dramatic entrance will receive rave reviews dressed in the Zac Posen™ Satin Crepe Jacquard Long Sleeve Cut Out Gown. 60% viscose, 40% polyester. Lining: one hundred% polyester. This item would possibly ship with an connected security tag. Merchandise returned with out the unique security tag connected or a damaged tag would possibly not qualify for a reimbursement. Product measurements were taken the use of size 2. Please note that measurements would possibly vary by size.